The El Dorado County Transportation Commission (EDCTC) received a Caltrans Sustainable Communities Planning Grant to study bicycle, pedestrian and vehicle travel conditions within the Coloma-Lotus area with a focus on State Route 49 through Marshall Gold Discovery State Historic Park and Lotus Road near Henningsen Lotus Park. EDCTC hired a consultant team comprised of GHD, Green DOT and AIM Consulting to assist in examining ways to improve mobility and enhance safety in the Coloma-Lotus area for all users of the transportation system. The Coloma-Lotus Mobility Plan will solicit community input to develop recommendations to improve circulation and safety for all travelers by analyzing existing conditions, evaluating technical solutions and identifying best transportation planning practices within the context of the community and planning area. The goal of the plan is to identify infrastructure improvements that will improve safety and connectivity for all modes of travel within the Coloma-Lotus area. Selection of proposed improvements will be performance-based to ensure the expected benefits correspond with estimated costs. The cost/benefit information will be used to develop competitive grant applications to fund implementation of projects identified in the plan. In addition to technical analysis and best transportation planning practice, development of the Coloma Lotus Mobility Plan depends on input from the community and key project partners such as State Parks, Caltrans, and El Dorado County. Since the project kick-off in July 2018, the project team has hosted three Stakeholder Advisory Committee (SAC) meetings, two community workshops and provided one online questionnaire. Summaries of the meetings and online questionnaire can be found in the links below. 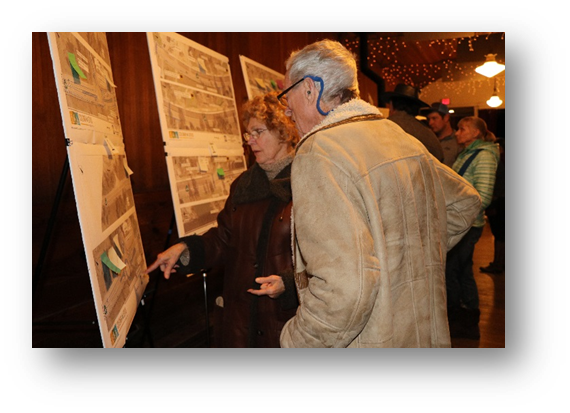 The project team presented draft improvement recommendations to the public at Community Workshop #2 and is using the input received during that meeting and Community Workshop #1, SAC meetings and from the online questionnaire to create the Draft Coloma-Lotus Mobility Plan. The project team will present the Draft Plan to the EDCTC Board at their regularly scheduled meeting on Thursday, August 2, 2019. The meeting will begin at 2:00 pm at 330 Fair Lane, Supervisor’s Chambers, Placerville. The Draft Plan will be posted to the EDCTC website at least two weeks prior to the August 2, 2019 EDCTC Board meeting.